Enjoying wine is always a social event and deeply anchored in the European culture. 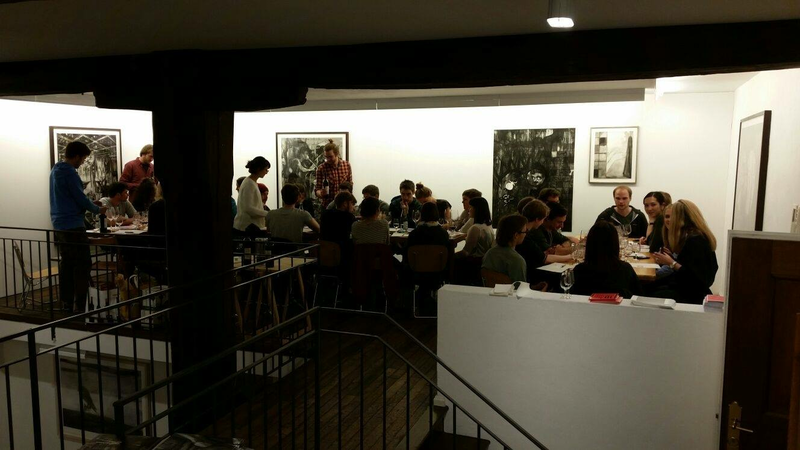 This is why we created this casual society, where students can meet in a nice atmosphere at an art gallery and at the same time learn something about wine. To school our tastes and build up a knowledge of different grapes and regions, we taste and compare different wines side by side. This allows to really differentiate very small or sometimes unexpectedly large nuances resulting from the complex production procedure of wine. To learn more details about this process, the society also features producers who present their wines, how they make them and what makes them so special. In the end, the field of wine-enjoyment is infinitely complex and anyone joining, from the beer-guzzling beginner to the advanced connoisseur of Bordeaux wines is sure to profit. So please do not hesitate to sign up for one of our next events (even if all your friends want to stick to beer) and find new friends to enjoy the art of wine!